Ihor, Prince, b ca 877, d 945. Grand prince of Kyivan Rus’ from 912. 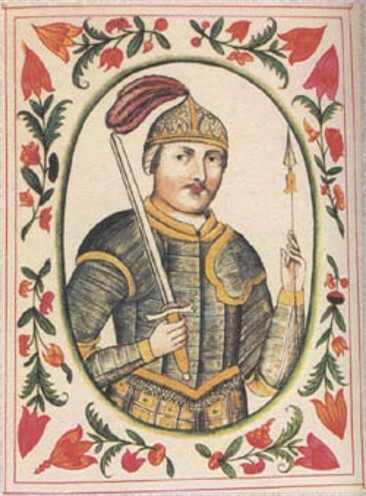 According to the Rus’ Primary Chronicle, Ihor was the son of Riuryk of Novgorod, but he could have been his grandson. During his rule the Turkic Pechenegs attacked Rus’ in 915 and 920, Slavic tribes still separate from the Kyivan state were subjugated, and Byzantine influence in Rus’ increased. In 913–14 he led an expedition to the Caspian Sea, which ended in a rout by the Khazars. He attacked Byzantium in 941 but his fleet was repulsed by ‘Greek fire’; his forces then ravaged the coast of Asia Minor during their retreat. 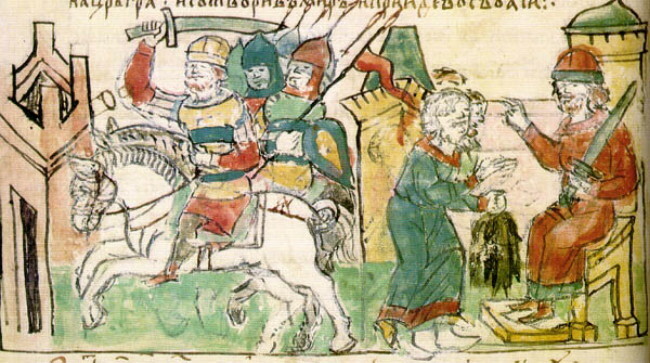 In 943–5 Ihor waged a successful campaign in Caucasian Albania against the Caliphate and occupied the capital of Berdaa before his army was forced to retreat because of an epidemic of dysentery. 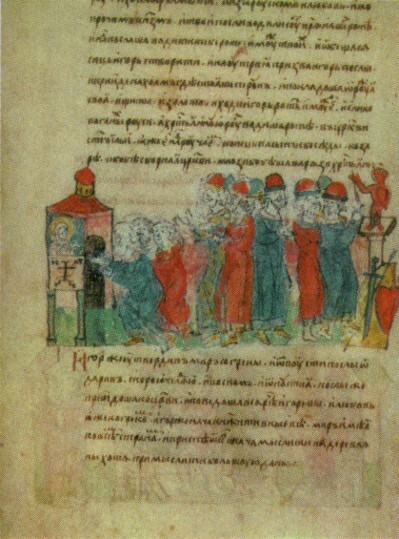 In 945 he concluded a trade agreement with Byzantium, promising not to attack Byzantine towns in the Crimea and to help them to repel Black Bulgars (see Volga Bulgars). During his reign he waged war on the ‘rebellious’ Slavic tribes of the Derevlianians and Ulychians and took the city of Peresichen. He was killed by the Derevlianians of Korosten while attempting to extort excessive tribute. His death was avenged by his wife Princess Olha, whom he had married in 904. At Ihor's death, 20 Rus’ princes recognized the supremacy of Kyiv.